Reel Asian is co-presenting with the Regent Park Film Festival for PATHER PANCHALI, the first instalment of the award-winning Apu Trilogy directed by the iconic Satyajit Ray. 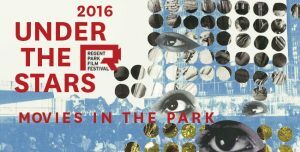 We are excited to continue our summer theme of outdoor films by partnering with Regent Park Film Festival’s Under The Stars series! Admission: FREE • Details here! SYNOPSIS: The first film in the Apu Trilogy, Pather Panchali depicts the childhood of the protagonist Apu and his elder sister Durga and the harsh village life of their poor family. Directed by the masterful Satyajit Ray, the Apu Trilogy is a coming-of-age story that highlights the childhood, education and early maturity of a young Bengali named Apu (Apurba Kumar Roy) in the early part of the 20th century.